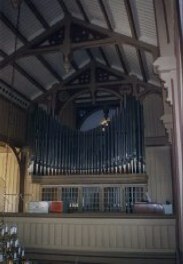 The organ in Holla church was built in 1954 by the Norwegian Organ and Harmonium Co. No major work has been carried out since installation and time is taking its toll on the mechanism. Coupled with deficiencies in tone and balance this means a re-evaluation of the organ situation will soon be necessary in Holla church. 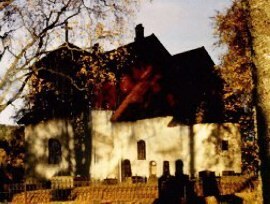 Orglet i Holla kirke ble bygd i 1954 av Norsk Orgel- og Harmoniumfabrikk. Ingenting av viktig arbeid har skjedd siden orglet ble installert og snart må vi eksaminere saken på nytt. 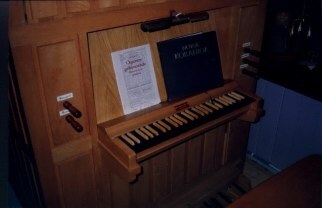 The one-manual organ in Romnes church was built in1965 by the Norsk Orgel og Harmonium Fabrikk. It has four stops.